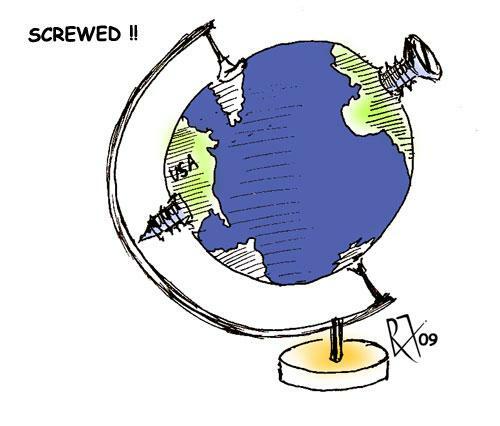 Is the world economy on the verge of recession? One of indicators sends alarming signal about looming turmoil of the world economy. Copper price in gold has shifted to a sharp drop in the past month. The reason is widespread dump on the commodity market, but copper price has been decreasing much quicker, than the precious metal. One ton of copper is estimated at 4, 86 troy ounces of gold now. This indicator is useful because two metals have demands originating from different purposes. Gold is a safe heaven and usually gains during economic downturn, while copper is used extensively in construction and machinery building so is demanded more during economic pickups. During economic boom price of copper have to be on the rise and gold prices decrease but we the chart points to opposite situation now. For April-June of 2018 copper price in gold was increasing, but from July turned to collapse. This indicator hasn’t fall below the tipping point yet, but approached it. Perhaps, prices for commodities decline due to the dollar gaining upbeat momentum; though it has to be noted that the speed of collapse was much higher than US currency expansion. 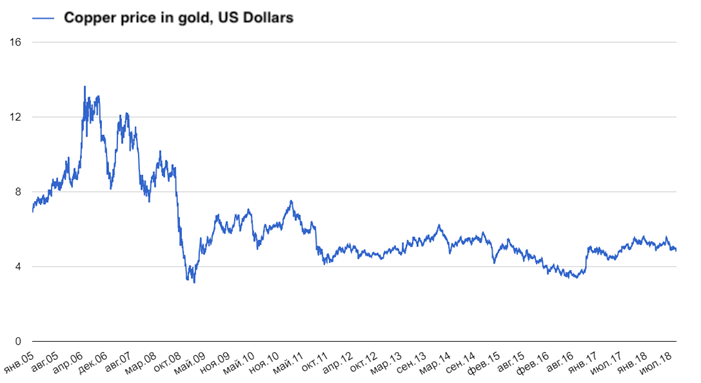 If falling continues, and the cost of ton falls lower than 4,5 ounces, the world economy may lose balance. It’s necessary to keep track of the world flows of funds. A capital outflow is going to be lengthy, that is very unusual in times of widespread economic growth. Therefore, the capital outflow from the emerging markets will indicate that recession moves may be around the corner. Since February this year EUR against the USD lost about 10%. Is there a scope for further drop? Since 2008 EURUSD is in the top-down corridor, moving from the lower bound to the top and vice versa. The exchange rate have backed from top levels and approach the middle of the range. The currency pair now is in a support zone, which extends from 1, 11 to 1, 13. There should be firm support for EURUSD and it would be tricky to break through. Only exceptionally negative news and trends in financial markets can do that. Hence, there is a chance for EURUSD to make a U-turn. 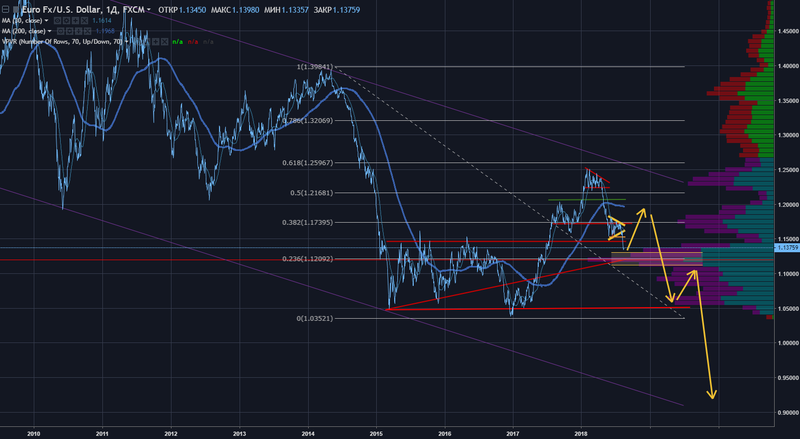 By the way, we expect the pair to drop even lower the support levels we mentioned, but before there has to be a rebound to 1.16-1.20 per euro where markets will make their mind on further long-term direction.